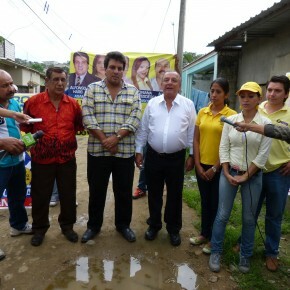 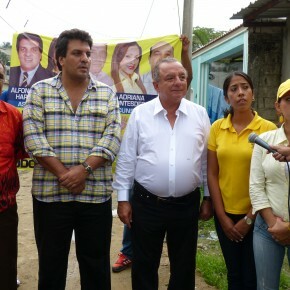 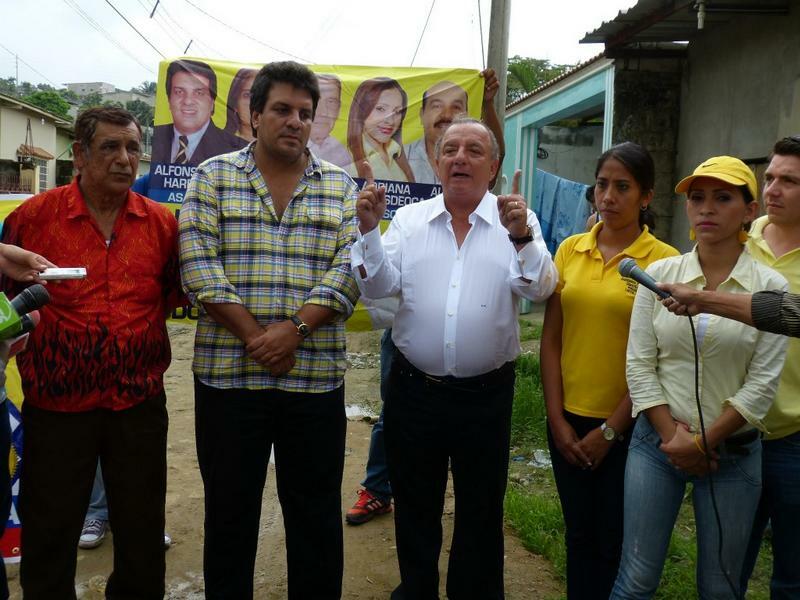 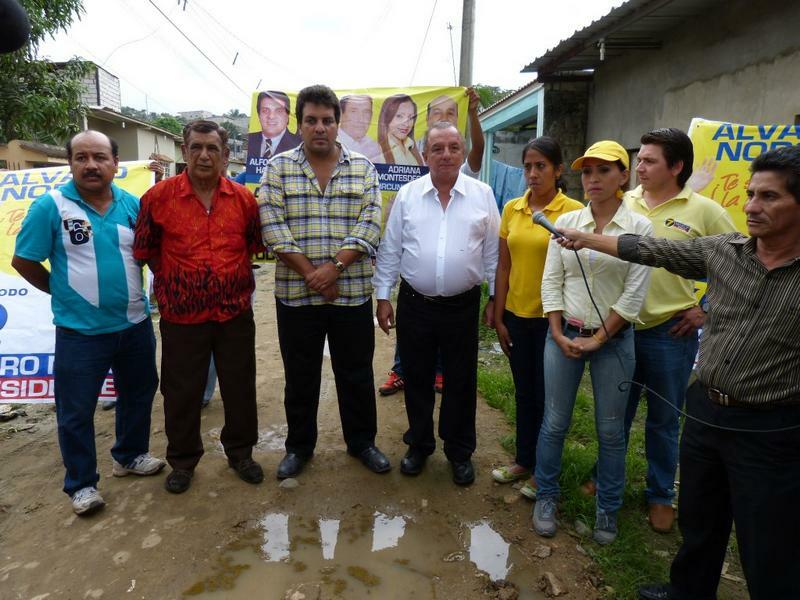 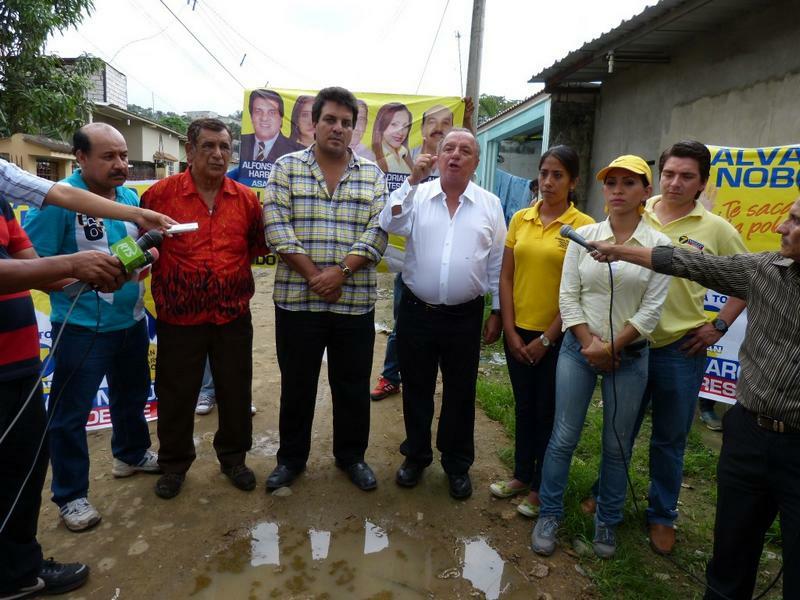 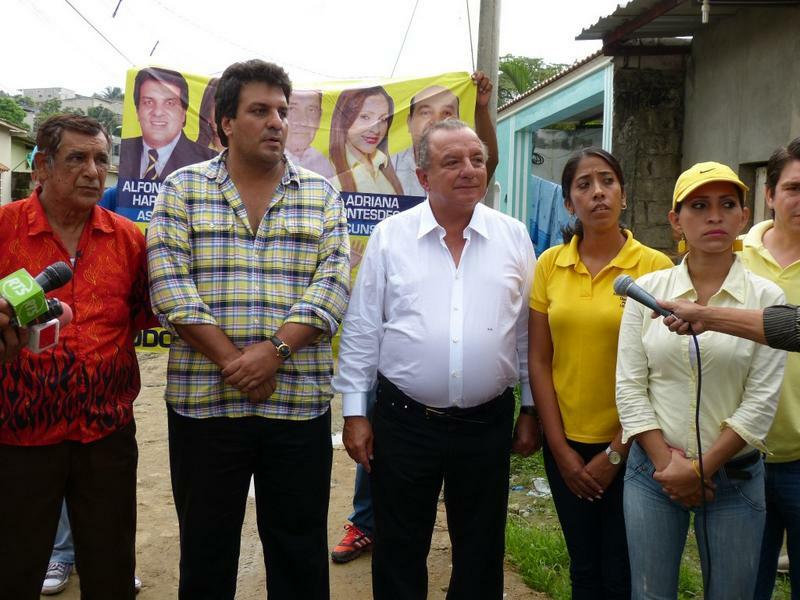 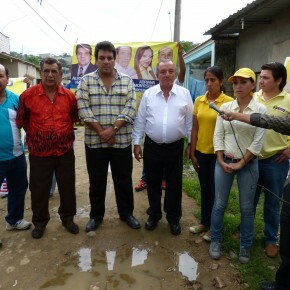 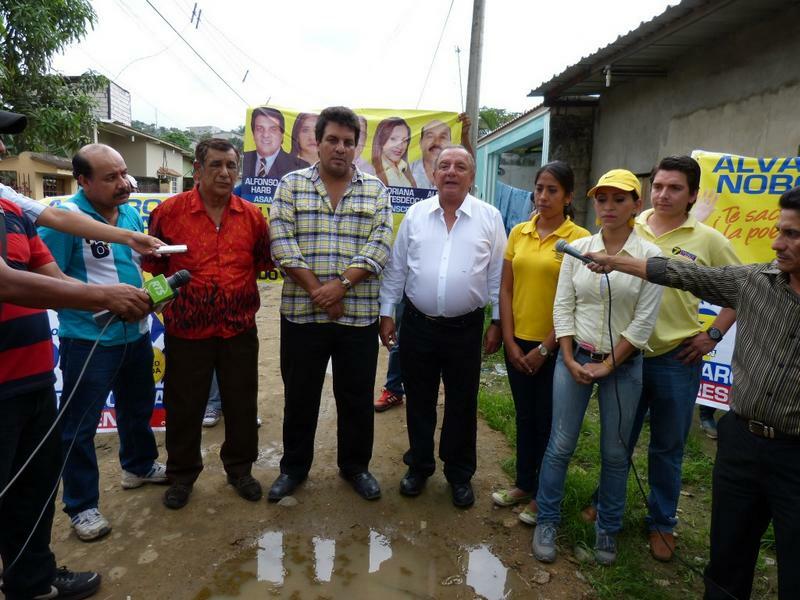 Attorney Álvaro Noboa, together with Guayas District #2 candidates for the Assembly, toured the Flor de Bastión sector in the north east part of Guayaquil. 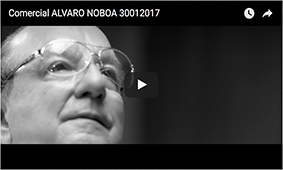 He also declared that upon reaching the Presidency, he would reactivate the country’s economy, attract two thousand companies, end crime and unemployment. 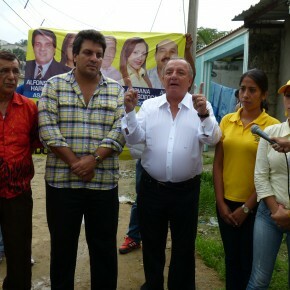 He signaled, as well, that he would increase the Human Development Voucher to $100, with the objective of assisting the unemployed. 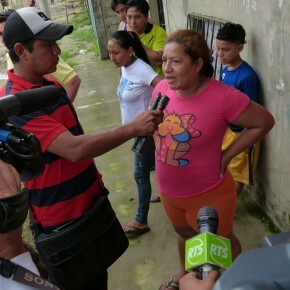 “What has stuck in Ecuador is three things: my plan for economic reactivation; my plan to improve the streets of poor neighborhoods, just look at the state they are in. 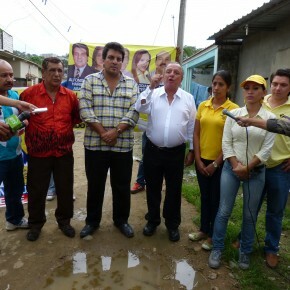 Via a special fund that I will give to the Municipalities, the streets that are to be found in such a bad state will be paved, they will be given sidewalks and gutters, systems for drinking water, rainwater, waste water, etc. 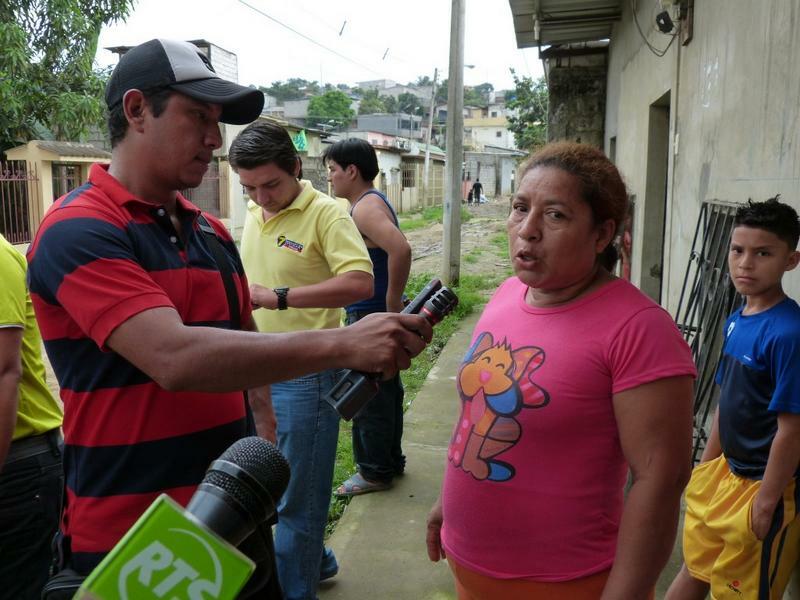 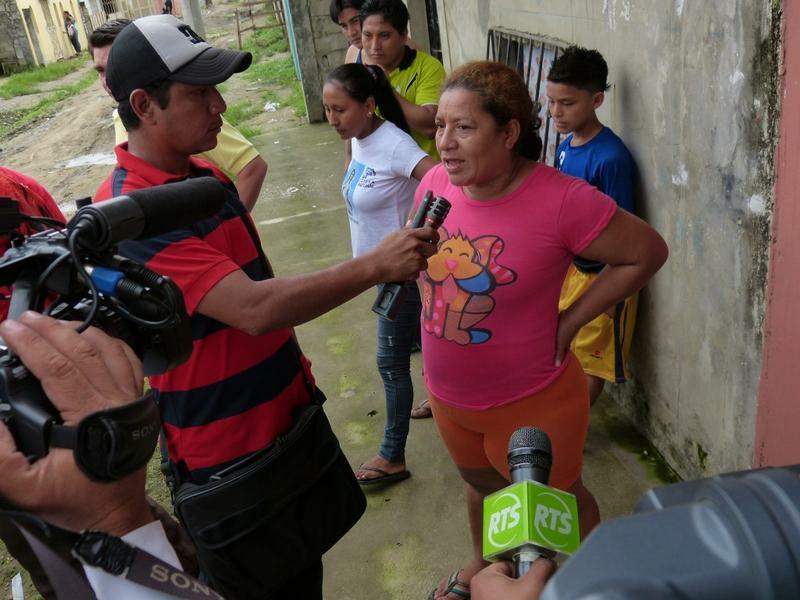 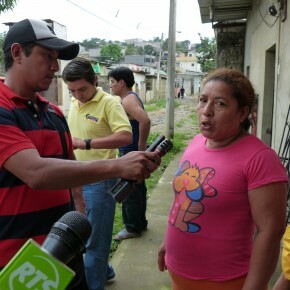 What has also stuck is the $100 Voucher, which is the minimum that an unemployed Ecuadorian needs until they find employment and can survive,” stated the PRIANIST candidate.